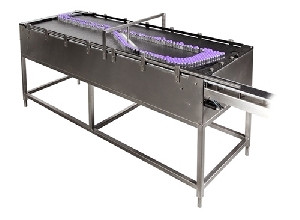 The objective of vial washing is to remove particulate matter and microorganisms. 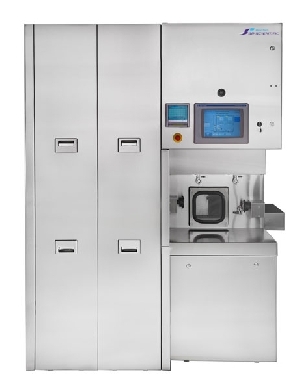 Traditional vial washers employ moving parts (e.g., grippers with springs, penetrating spray needles, chains, moving rods) in the washing chamber, which all generate particulate matter. 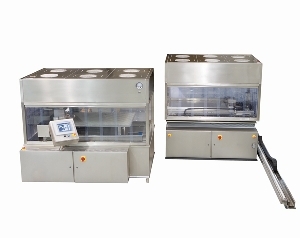 SP PennTech washers have only two moving parts inside the washing chamber and their main drive is servo-driven. 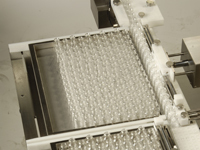 They also cover the full range of pharmaceutical vials, from 2-100ml, both glass and plastic. 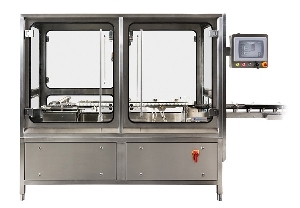 Each vial format has an HMI selected “recipe” with specific settings for such variables as spraying time and indexing time. 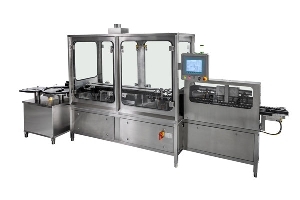 Water for injection (WFI) can be recycled, filtered and used a second time and intermittent spraying further reduces water consumption. 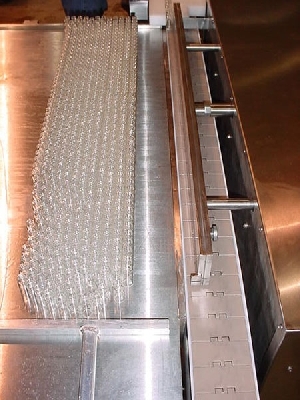 These factors result in a highly efficient vial washing process. 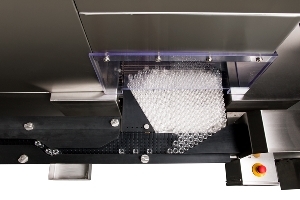 For over 20 years, SP PennTech has optimized and perfected the art of vial washing. 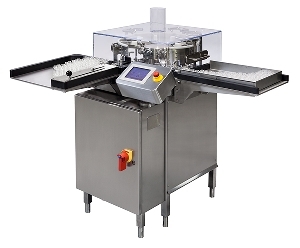 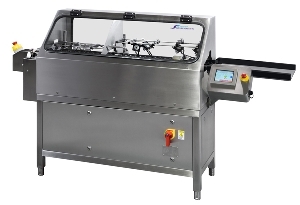 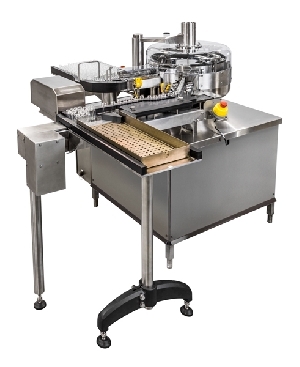 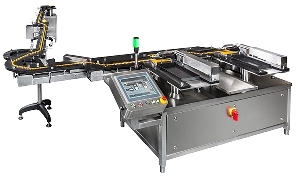 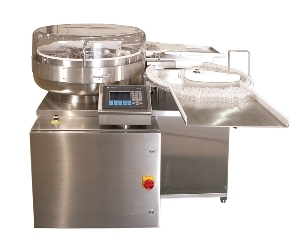 Dimensions 133x128cm Purpose Smallest automatic vial washer and is designed for low-to-medium output pharmaceutical..
Dimensions 90x130cm Purpose Medium speed automatic vial washer for pharmaceutical and biotech applications Vial..
Dimensions 202.5x183x137cm vial running surface 85-95cm Purpose High speed automatic vial washer for..